New Quick Access Biometric Rifle Safe by Barska allows you to keep rifles, guns & ammo stored securely and quickly accessible with a scan of your fingerprint. 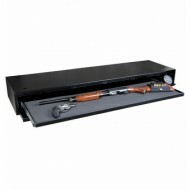 Store up to 4 rifles securely with removable storage shelf for guns and ammo. Easy to use system allows you to register fingerprints in seconds. You can mute the beeping feature on the fingerprint pad if you chose. 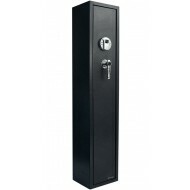 The door is secured with a three point dead-bolt locking system. It has earned the approval of the California Department of Justice for the safe storage of firearms.